This year’s squad has already shown a level of maturity no other has since the program began seven years ago. 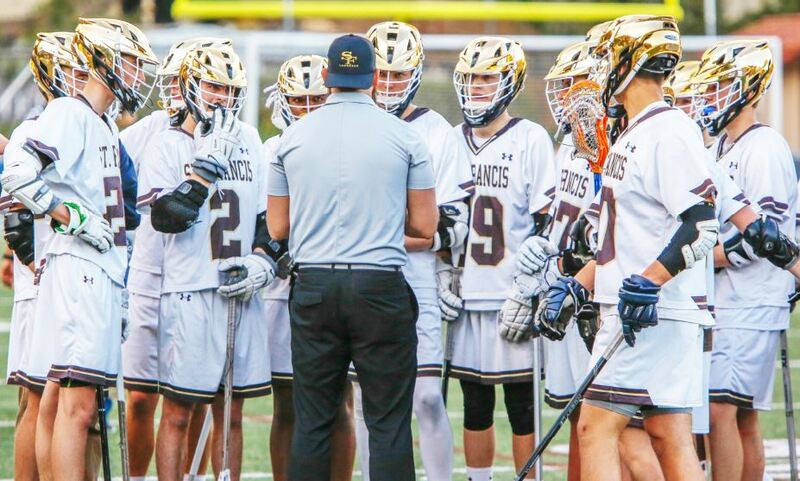 The Golden Knights finished the regular season with a 7-7 record and defeated Sherman Oaks Notre Dame, Valencia, La Verne Damien, Palos Verdes Peninsula, Sun Valley Village Christian, Los Alamitos and West Hills Chaminade. Prior to the season, Little spoke to administrators, who supported his plan and encouraged him to pursue his goals for the program. The changes made the athletes to commit to the team, forcing those weren’t as into the sport to leave the team. That dedication led the players toward a historic regular season in which the Golden Knights are ranked No. 14 in the area. Five of the six teams in the Mission League are ranked among the top 15. Michael Lund is one of the team’s leaders on offense and Carston Peterson is the top scorer. Austin Heberger and David Baker have played well defensively, and Will Ferguson is “phenomenal in the faceoff,” according to his coach. Little will be able to count on everyone listed on the roster this week. His players are rested and recovering from illness and injury, giving him confidence going into the Mission League tournament. The Golden Knights will begin the league tourney this weekend.